The Foxtrot Bed & Breakfast, a Gatlinburg, TN Inn, is a beautiful alternative to a hotel stay in the Great Smoky Mountains. Enjoy four luxurious guest rooms with glorious views of Mt. Leconte and delicious home-made breakfasts. Activities abound in the area, from a visit to Dollywood or Great Smoky Mountain National Park. Enjoy quiet restful time at the inn, or experience the beauties of outdoor Tennessee. 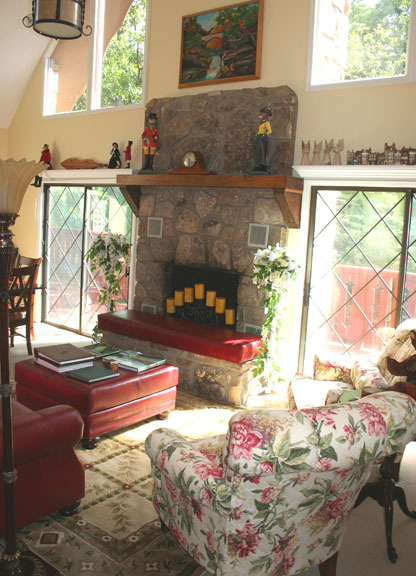 You won’t regret your visit with us at the Foxtrot Bed & Breakfast!